Two separate categories of information. No overlap. Remember special cases? Don’t worry, nobody does. But it takes 10 seconds to remember. All triangles are scalene triangles. Some triangles with two equal sides are isosceles triangles. Some isosceles triangles with three equal sides are equilateral. You can think of these as nested categories. The Thesis: Quantitative information is a SPECIAL CASE of qualitative information. The point is simple. Qualitative information is the ‘superset’ which contains the set of all quantitative information. Any quantitative measurement is inherently one-dimensional. 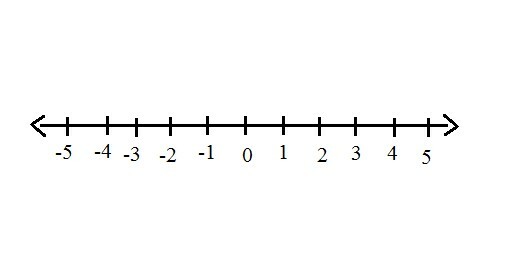 No matter what we’re attaching a number to, it exists on a straight number line. Number of people, height of a house, GDP, doesn’t matter. One. Straight. Line. Want information about gender? Need the location of the building? Want to understand the socioeconomic status of the country? You need more numbers, in more dimensions. Our brains don’t do well above 3-4 dimensions, but to completely describe that house, you’d need hundreds, thousands, maybe millions of numbers. Stick with me just a minute longer. Let’s zoom in on one feature of a house. When can you recognize it? At some point, by adding more and more measurements, the qualitative concept of a ‘window’ springs to mind. This is because your mind, eventually sick of trying to keep all the specifics together, wraps them up into a neatly bundled concept. Beautifully, this ‘window’ concept can also work for a lot of other things that look, act, and seem like the original but might appear in really different contexts. Each window is made up of it’s quantitative measurements, but we cannot view any of them without our minds also wrapping them with a multitude of other associations, for example: nautical, modern architectural, space travel, prison, house. 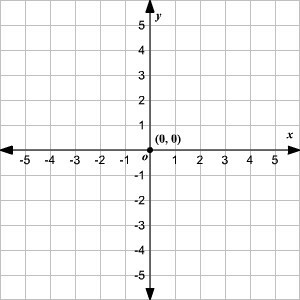 Here’s the last step: just as relatively concepts like ‘window’ can be decomposed into a set of quantitative measurements, so can things like ‘nautical’ and ‘prison.’ To show how, let’s go backwards, as we often have to in the social sciences. A prison. Let’s start breaking it down as we so often have to do in the social sciences. Perhaps we should start by defining the prison’s physical construction. Much like the house from before, we know the building can be described using a slew of spatial measurements (height, width, circumference, acreage). We could also break down the population inside the prison (age, height, weight, number of years in sentence). As we move deeper and deeper into our quantitative measurements, the concept of the prison may fade from view, but we’ve never stepped into a different realm. No matter how abstract our representation, we’re still within the concept of ‘prison,’ and we could move step-by-step back to reconstitute it, one window measurement at a time. Quantitative information lives within qualitative information, not outside it. Science is constantly beset by a useless argument based on a useless dichotomy. The phrase “Qualitative vs. quantitative” falsely separates the two concepts and therefore sets up an endless, energy-sucking and insight-killing argument about which is better and out of which our social and physical universes are ultimately composed. So much useless ink! So many great minds grinding themselves away with no end! In evaluation, there comes a point when you have to choose - do I count something or do I write about it? Do I ask people how many drinks they have per night or do I ask them to describe their feelings towards alcohol? It’s time for the phrase ‘qualitative vs. quantitative’ to die. Preserving the false separation of quantitative and qualitative information provides no advantage, obscuring the actual subject of concern. Let’s save our brainpower for things that really matter. Judging utility is hard enough.